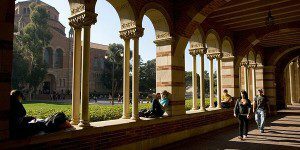 When Ramit Varma and Jake Neuberg graduated from the UCLA Anderson School of Management’s MBA program in 2002, they knew a couple of things for sure. One was that landing a position at a big name tech or finance firm was not among their aspirations. The other — which would plant the seed for Revolution Prep — was an awareness of the need to improve access in high school standardized testing. The partners knew the industry. They had supported themselves through school with jobs as tutors; Varma for The Princeton Review and Neuberg for Kaplan. Aware of the reality that only certain students could afford these services, they were motivated to close the gap for those who aspired to succeed in college but could not afford the same tools as their wealthier peers. Insider knowledge coupled with their MBA training – Varma specialized in management consulting while Neuberg studied banking – combined to hatch the idea. Not only could they improve the business model and capitalize upon the unfilled niche, but they could also create social impact. The fierce competition for entry into top colleges is coupled with the high expense of test preparation and private tutoring, which also bears a hefty price tag. Funding the startup with credit cards, the pair launched Revolution Prep in 2002. Bearing a cost of half that of the competition, Revolution Prep also differentiated itself by offering courses within schools rather than remote locations. The inception of the company was not an ideal model of ‘how to fund a startup’, but the two believed so much in their idea that this didn’t seem to matter. 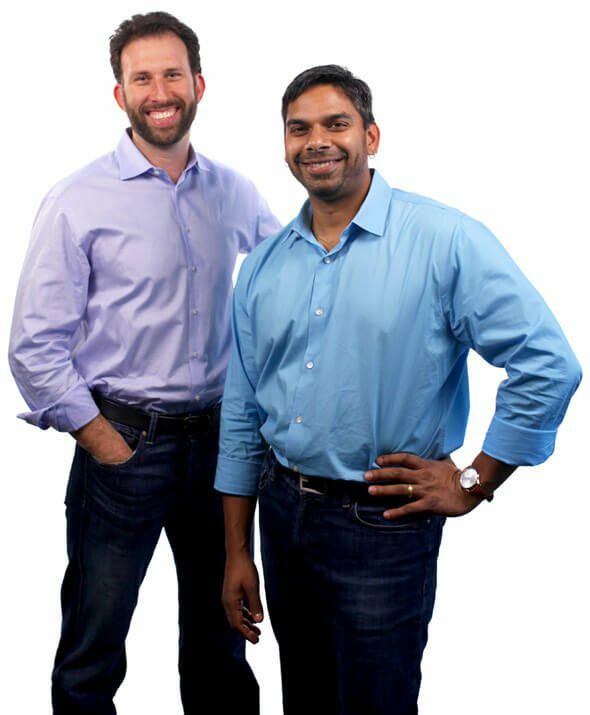 Both Neuberg and Varma had thousands of dollars in debt resulting from their MBA education, and they maxed out a number of credit cards to acquire the overhead to start the business. One war story even involves having their phones turned off due to unpaid bills. “We never took a dollar of outside capital,” Varma recalls of Revolution’s beginnings. The development of Revolution Prep’s innovative model took form as the pair reflected upon what worked and what didn’t in their own experience as tutors. “We started using our learning methods [while working] … in the SAT tutoring area. As we started seeing greater and greater results, we developed technology based on our methods,” said Neuberg. Among the many unique aspects of the company is its focus on peer-to-peer learning via Skype. Students participate in online sessions that use whiteboard technology for further collaboration. Neuberg and Varma point to this collaborative spirit as a touchstone of the company’s success. “Our methods and technology are geared toward unlocking the powerful forces of curiosity, creativity, and ingenuity [that often lies] dormant in our students,” Varma commented in a 2011 EdTech profile. Another unique aspect of the company’s methods is its focus on incremental progress. Readiness is gauged not by practice test scores alone; students are also asked about their comfort levels before sitting for the actual exam. If a student does not report a high level of readiness, he/she is allowed to retake the course for free. Tuition is refunded if scores do not improve by 10 points for the SAT or one point for the ACT. These guarantees are reliant upon students’ attendance to all preparation sessions. Revolution Prep reached a breakthrough in the spring of 2010 with a bold move. Offering free SAT preparation in partnership with the Partnership for Los Angeles Schools, the company showed its commitment to closing the access gap. Students gathered at the Santee Educational Complex in LA for intensive classes, with improvements reaching up to 240 points on the SAT. Then mayor Antonio Villaraigosa lauded the company and the students with an open letter. The company has grown to include offices in San Diego, San Francisco, New York, Washington, D.C., Boston, Chicago, and Austin.